President Muhammadu Buhari has appealed to people of Kaduna State to preserve the peace and tranquility of the state following the spate of violence that has engulfed the state. ‘‘Kaduna, once the home of the Premier and home of the New Nigerian must not earn itself a new name – home of violence. 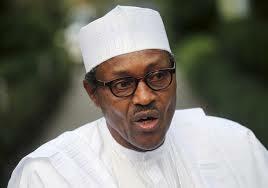 The Federal Security Agencies will hunt and prosecute all those who sponsored these acts of violence,’’ Buhari said. The president declared this on Tuesday during a condolence visit to the state. He said the Federal Government will take the strongest measures possible to punish perpetrators of the latest killings in Kaduna. President Buhari expressed profound sadness at the recent tragic loss of lives and property in Kasuwan Magani and the unrest around Kaduna metropolis, demanding an end to such wanton killings. ‘‘If in the past, they got away scot-free, we shall now hold everyone to account for these latest killings,’’ the President said during a meeting with senior government officials, security chiefs, traditional rulers, religious, political and community leaders at the Musa Yar’Adua Sports Complex. ‘‘It is unacceptable that criminal elements can visit on citizens the wanton killings recorded in the Kasuwan Magani incident of 18th October 2018 and the unrest around Kaduna metropolis a few days later. This must stop,’’ the President said. ‘‘The Nigerian police are in the frontline of securing communities. For the judiciary, unless the investigations are credible and rapidly done, there is nothing they can do. From now on the Nigeria police, you better watch it, I am going to watch you closely,’’ the President said. President Buhari also appealed to community leaders including ward heads, village heads and traditional rulers to be closer to their people and not to shield those who are planning to wreak havoc on the community from law enforcement agencies. Commiserating with the government and people of Kaduna State, and families who lost loved ones in the unfortunate incidents, the President paid tribute to the late Agom Adara, Dr. Maiwada Galadima, eulogising the traditional ruler of Adara chiefdom for serving his community and Kaduna State with dedication. The President appealed to all who call Kaduna home to do their best to uphold peace in their respective communities, warning that chaos and anarchy tend to worsen and exacerbate whatever issues are agitating a community. ‘‘Violence shatters and divides people and stifles the prospect of any community that succumbs to its tragic logic. ‘‘The Federal Government commends the efforts of the Kaduna State Government in responding to and managing the crisis. More Federal Security assets are being provided at the request of the Kaduna State Government to help uphold and keep the peace. ‘‘The Federal Government will continue to work to ensure that more security assets are recruited and deployed across the country to protect all citizens going about their lawful business and to reinforce the authority of the government,’’ he said. President Buhari also welcomed the decision of the Kaduna State Government and its local governments to build and provide facilities for the take-off of more police divisions and civil defence offices in the state. ‘‘On their part, Citizens also have a duty to be law-abiding in their conduct and within their communities. There is a need to avoid violence as a tool of negotiation or obtaining advantage, and learn to listen to each other and commit to resolving differences through peaceful means. The President told the meeting that his administration will continue to do its best to develop human capital and address poverty and inequality in all parts of the country. ‘‘Providing decent education and health are my priority goals. I am delighted with the successful collaboration between federal institutions like the Bank of Industry and the Kaduna State Government to provide vocational and entrepreneurship skills, and low-interest credit to expand economic opportunities,’’ he said. President Buhari assured the Kaduna State government that the Federal Government will give due consideration to the concerns raised by the Governor about the outstanding issues of payment of compensation and resettlement of communities that have lingered since the post-election violence of 2011. On the recent killing of Saudi Journalist, Jamal Khashoggi, inside the Saudi consulate in Istanbul, Turkey, the President said while the whole world has been forced to watch and listen to what is happening, the situation in Kaduna has not attracted any attention. ‘‘I observed that more than 75 people were killed in Kaduna alone and I haven’t seen anything about it. ‘‘It means we are pushing ourselves as a nation and a people towards irrelevance, seen by the world itself,’’ he said.